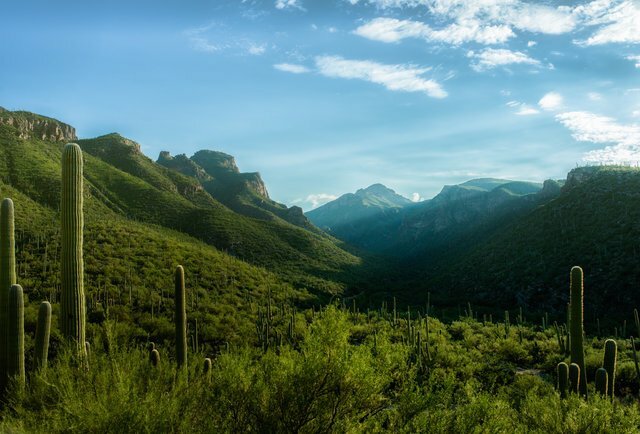 There are only a few transportation services in Arizona that go from Phoenix to Tucson and Tucson to Phoenix. Taxi - very expensive and not a luxury service; most cabs smell and have a long history of drunks and bodily fluids. Bus - usually the least expensive, trip takes about 4 hours since the bus stops and waits for other passengers. Super Shuttle - to our knowledge their service area is limited to about 30 miles around the Phoenix Sky Harbor Airport, so they don't go to Tucson. Uber and Lyft - while you can get quotes off of their website, it's extremely rare to get an Uber or Lyft driver to go that far because they don't get paid to drive back. For this reason they will show up and then cancel repeatedly when they find out what your destination is. Most of these ride sharing drivers would rather stay in town. They also don't do late night or early morning hours. Amtrak - there are no trains from Phoenix to Tucson or any other nearby cities. They only go from west to east, not north and south. The first airport shuttle company is called Arizona Shuttle. Normally they drop you off at a bus stop, gas station or a Denny's. They also can stop several times on the way to Tucson to pick up other passengers, drop people off, switch drivers, and sometimes to change vehicles. In other words, you will have to arrange other transportation to your home. This could cost you a lot if you choose a taxi. 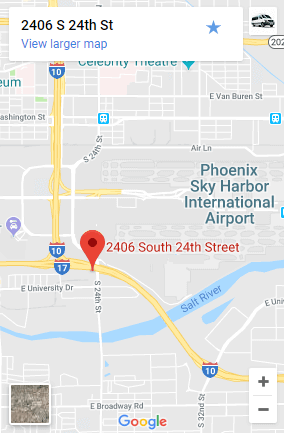 Uber and Lyft are generally not available in Tucson to take you all the way to Phoenix, so your only option will be a friend, family member or a taxi. There are also not many taxis in Tucson. Arizona Shuttle also closes from 12:15 am to 6:15 am, so you won't be able to use them all the time. They also have predetermined pickup times, so they don't leave on your schedule. Most cab companies charge $2.30 per mile. Since Tucson is about a 110 mile trip that takes about 1 hour and 40 minutes. The minimum cost to take a taxi is $260. However, you know that taxis charge for every moment you are waiting at a light, in traffic, etc., so the most realistic cost is usually over $300 plus tip. If you're okay with paying taxi rates, Phoenix Taxi can take you for the same price as a taxi fare in a nicer vehicle (usually a Lexus, Chrysler or Mercedes). Taxi rates include up to 4 people, but cars normally fit three people comfortably. Their number is (480) 757-3010 or you can book online. If you're looking for a VIP experience for an executive, doctor, attorney, celebrity, night on the town, etc., black car services provide limousine style chauffeured transportation. Cars can range from Lexus, Mercedes, Bentley, Rolls Royce, etc. depending on what is available. 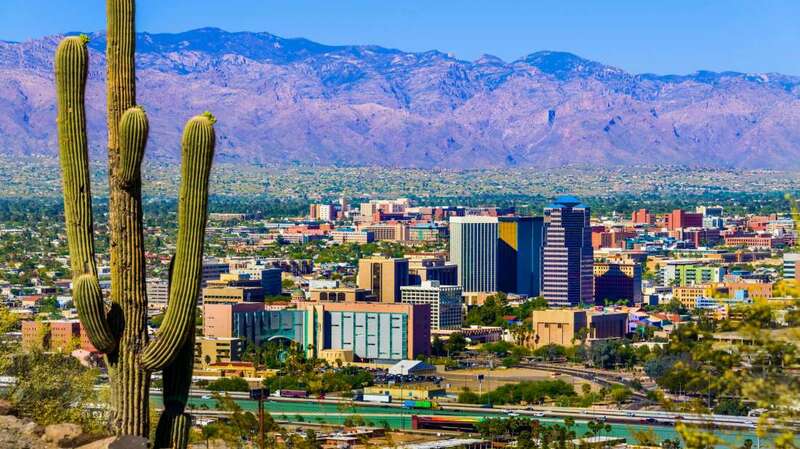 If you're looking for lowest overall cost, book a shuttle with Airport Shuttle of Phoenix. They own Tucson Shuttle. If you're looking for a black car service, you can book one through Tucson Shuttle. Call (480) 757-3010 to make a reservation.